I've not played drums for years and when I did I used an electric kit which isn't really appropriate for live gigging. I'm about to start performing in a rock band and would like to know what the minimum amount of kit I can get away with buying is in order to perform as venues often provide some kit. I currently have sticks and a kick pedal. What else do I need as an absolute minimum? Venues, like rehearsal studios, generally provide kick, a couple of toms, hi-hat and snare. 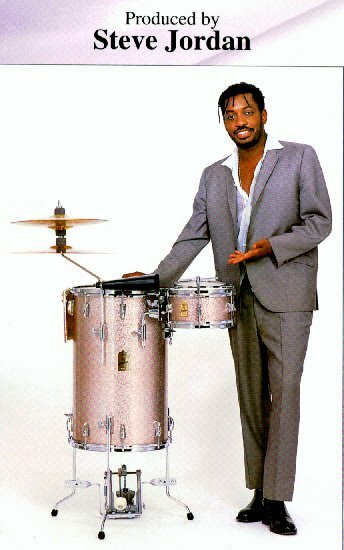 Most drummers prefer their own snare, and cymbals, and often that includes their own hi-hat cymbals. A comfy seat is a personal choice too ! So, you could get away with those if you were sure of a 'back line' kit. Not expecting any kit on site, a kick drum, snare, ride and crash cymbals and hi-hat would do. Not forgetting seat and sticks, of course ! If space is a problem, that's it. If not, use a small tomtom as well. I've worked with several bands with electronic drums, and when played by a drummer who knows what he's up to, they can sound just as good as an acoustic kit. Often better - think about the fact that you could get away with, say, one tomtom, which could change sound at whim. Some of the guys I work with have 2 or 3 kits, with different sized bass drums, so can tailor the kit to the gig. But cymbal wise, hi-hat and ride, and often a crash, are there every time.With the appropriate stands- don't forget the stands ! For venues without a kit, the absolute minimum would be snare, bass drum and hi-hat. That's the overwhelming majority of venues in my area. Hi-hat can operate as a poor man's cymbals in a pinch. For venues with a basic backline kit, all you'll need is your sticks and bass drum pedal, although you will probably prefer your own cymbals. 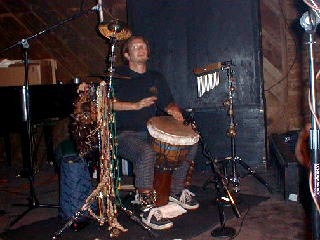 Still other folks such as jazz drummer Jarrod Kaplan can make an effective drumkit sound with a djembe and rattles and bells on the ankles. 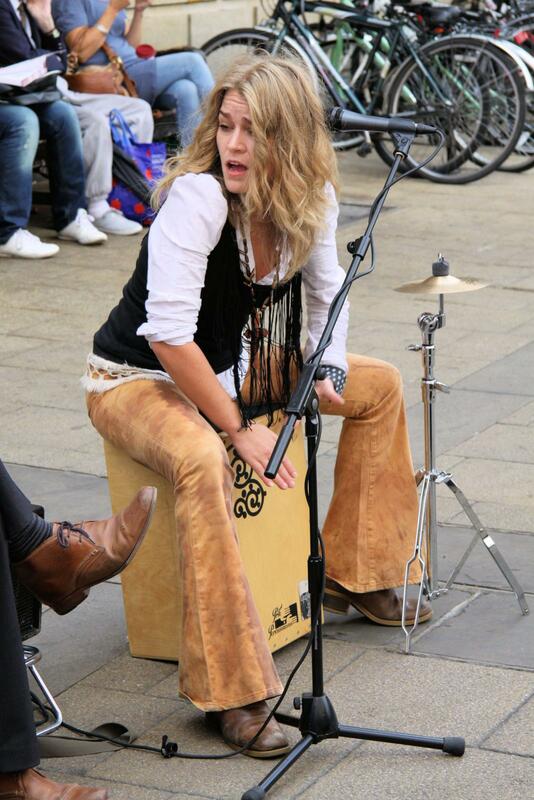 A variant on the djembe idea is to use a Cajon with rattles and bells on the ankles. Another possibility is a travel drumkit with nesting drums. To save me hauling round the full kit, when I saw a child's kit in a second-hand store for 50 quid/bucks/shekels, I jumped at the chance. With some judicious damping & tuning (they are all non-standard sizes so I can never change the skins) I have a perfectly serviceable kit that I can use in any small venue. Not the answer you're looking for? Browse other questions tagged drums performing or ask your own question. Cajon as Alternative to Drum Set? Must one be born with a sense of rhythm to learn to play a drum set with both feet and both hands? Garage Band: how to have a drummer play only a steady snare drum on all the eighth notes? Jazz Drumming - What is the drummer (Art Blakey) tapping on? What do you work on to get more confident, stay relaxed and play consistently?